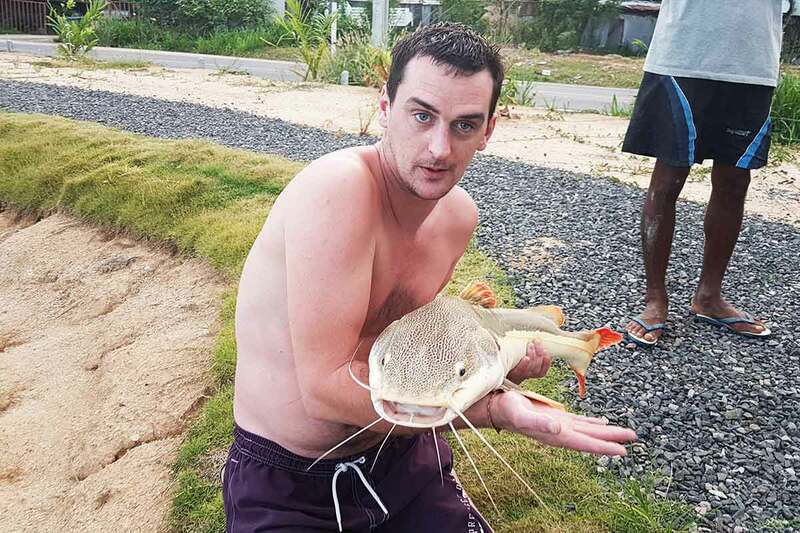 Just to get you thinking, a fisherman’s tale from England. 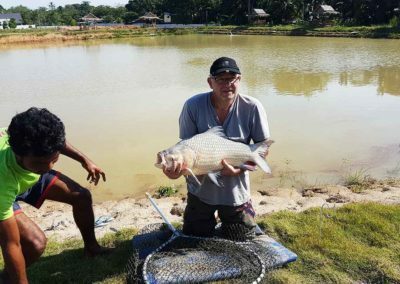 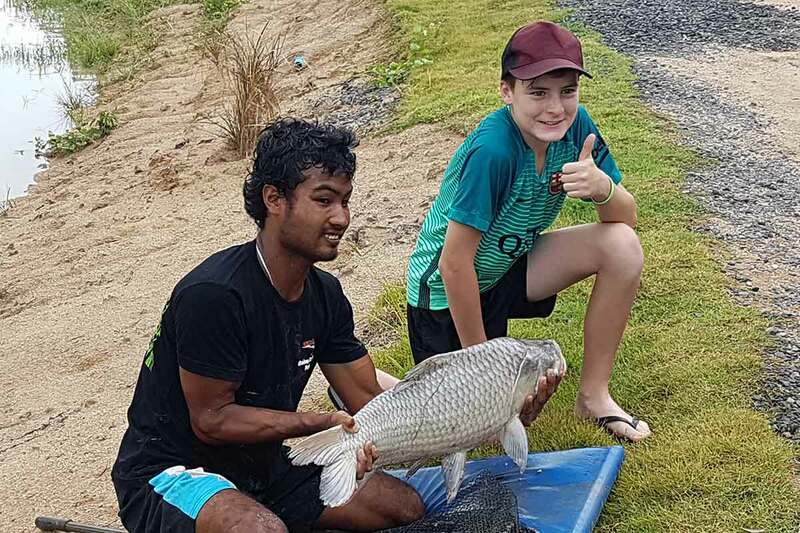 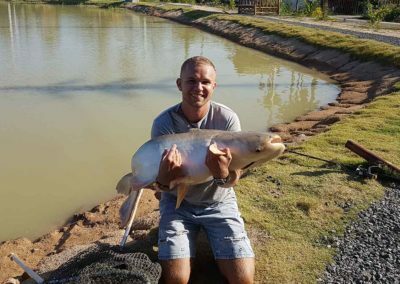 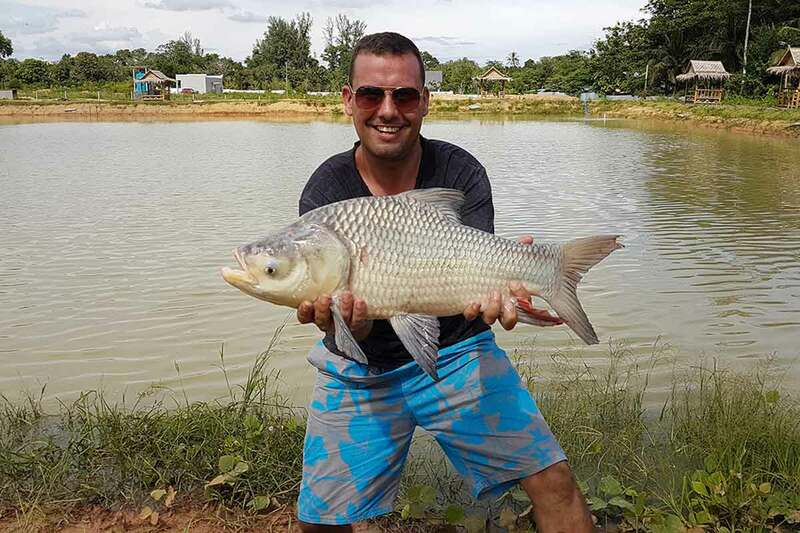 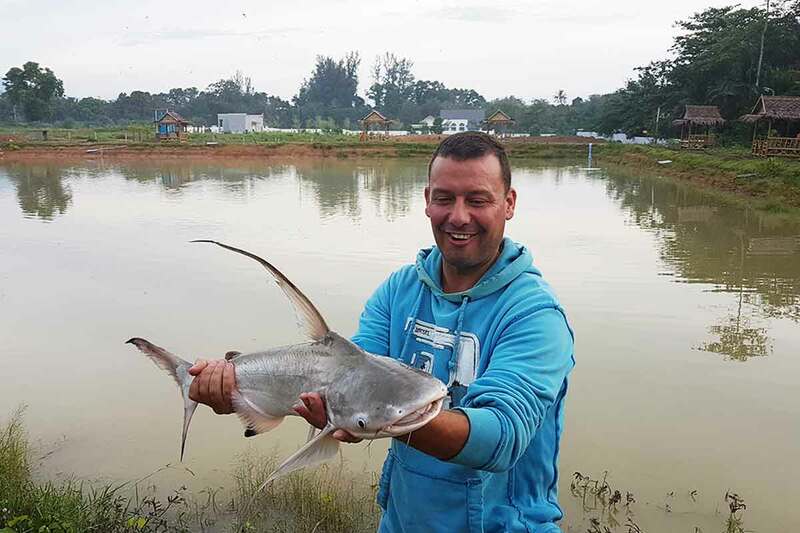 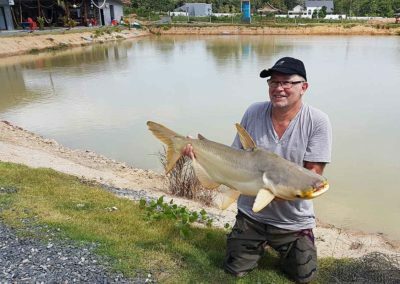 The fish subject to the tale, although obviously a prize specimen for its species, is less than half the size of some of the fish in the Chalong Fishing Park lake. 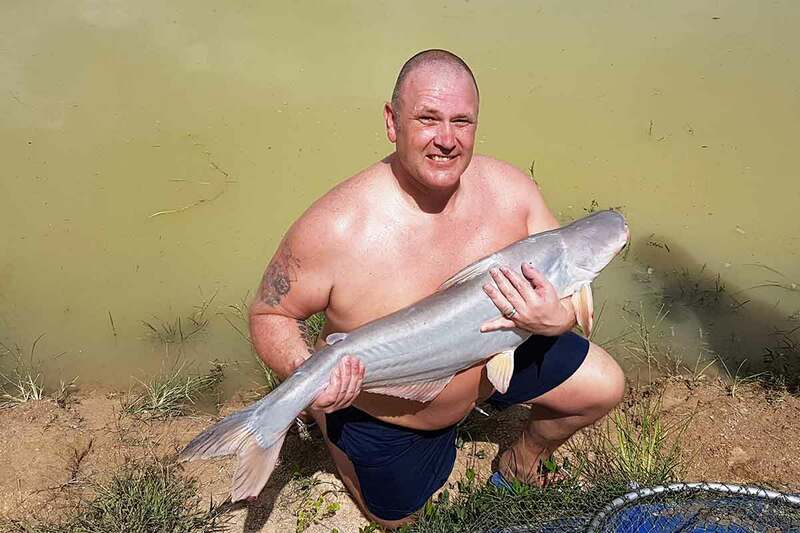 The fight will be fun, it may be exhausting, but it will be fun. 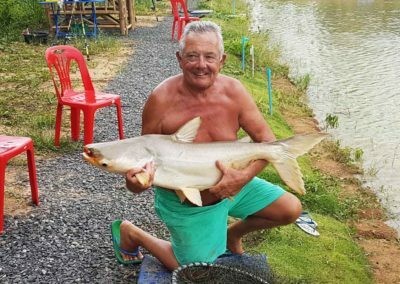 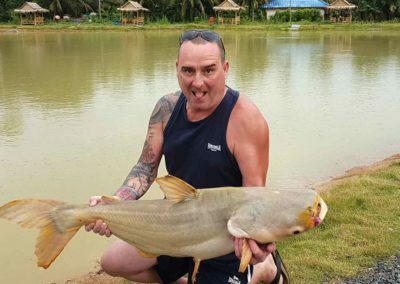 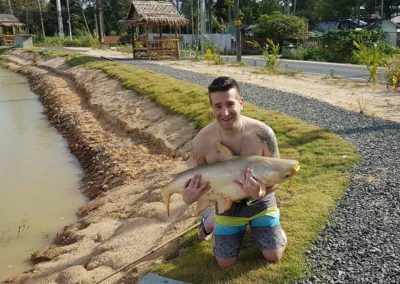 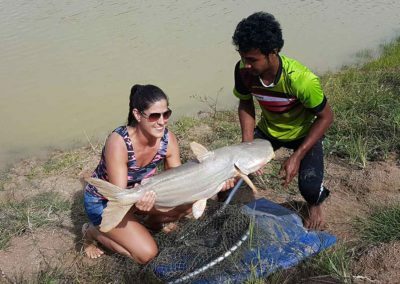 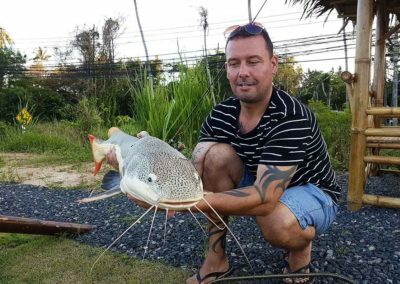 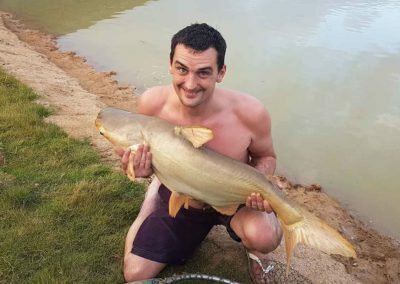 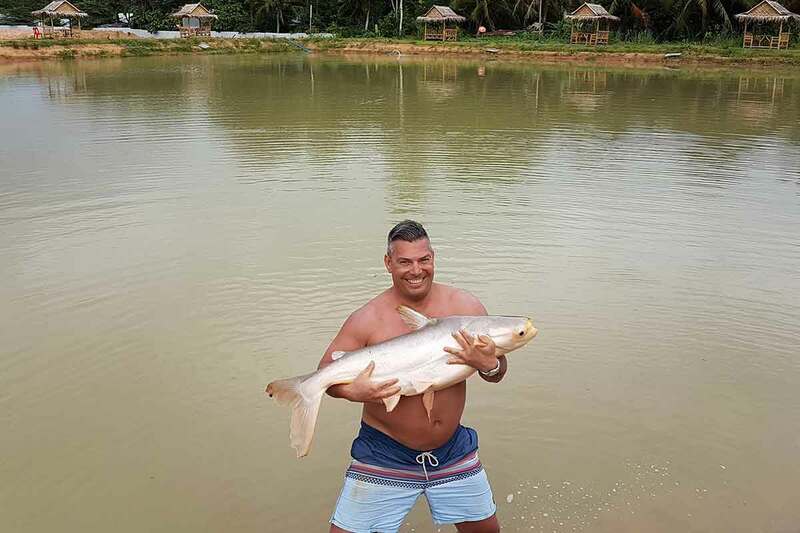 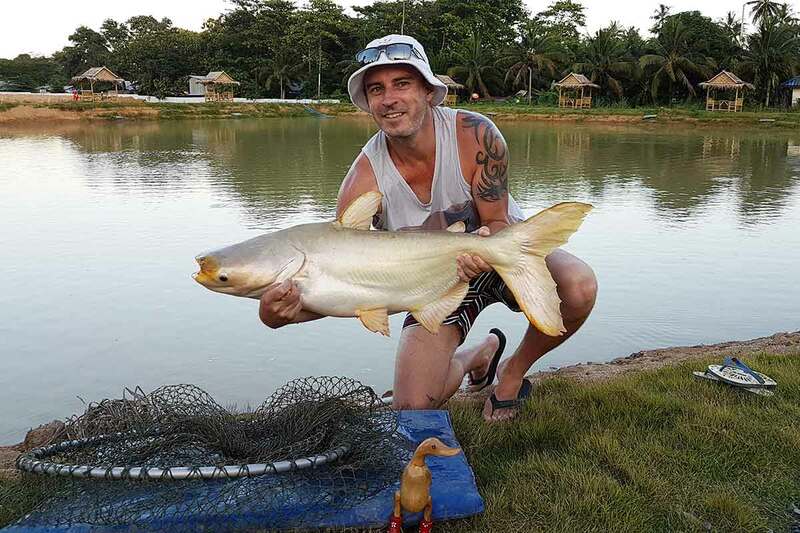 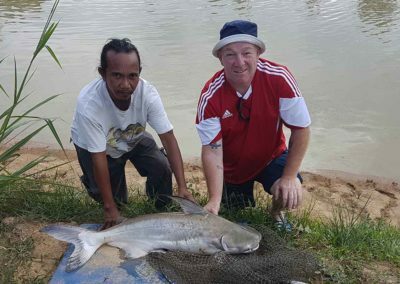 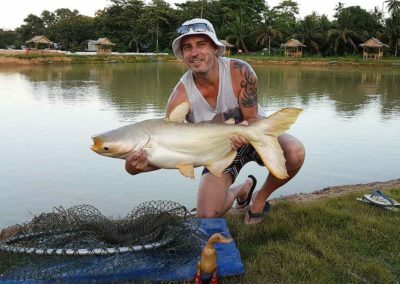 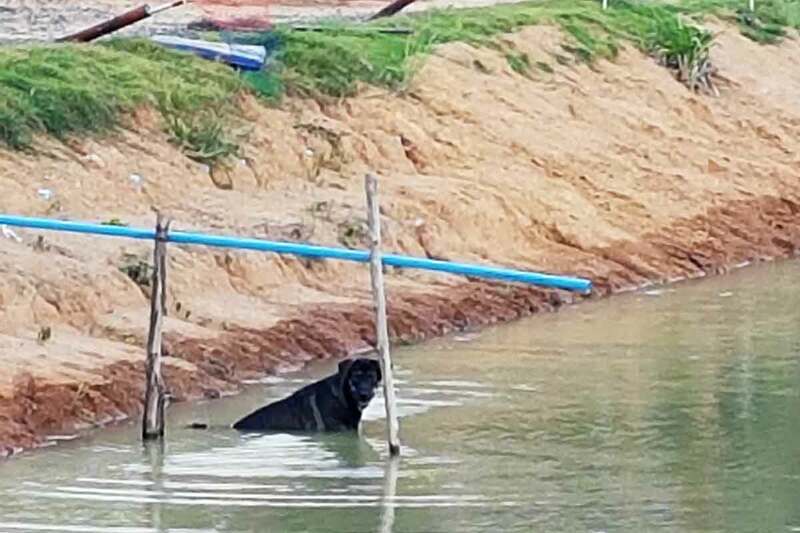 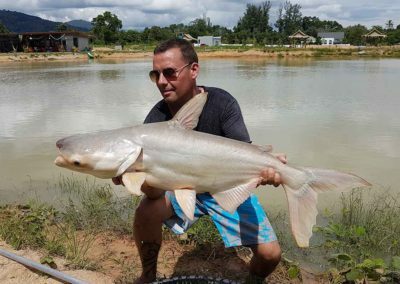 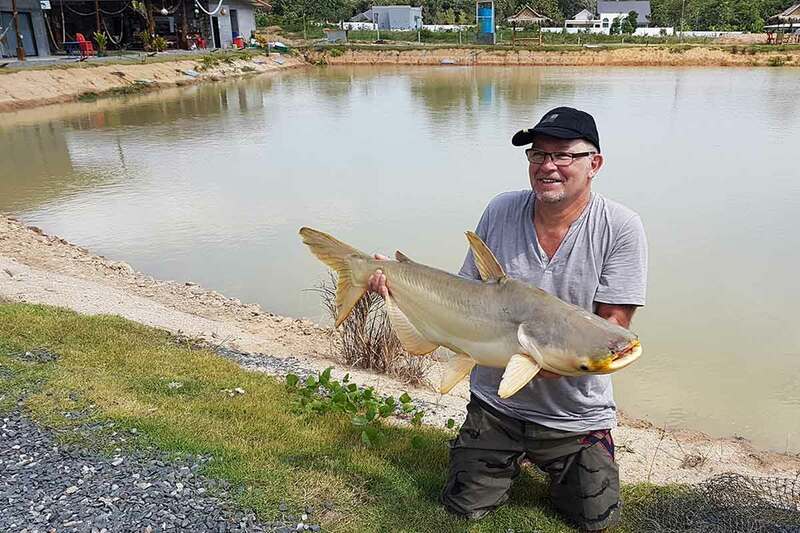 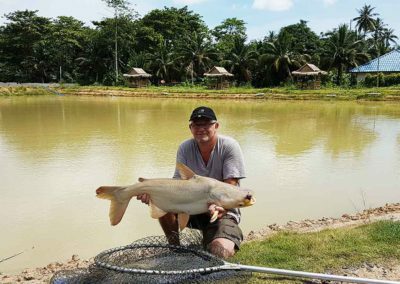 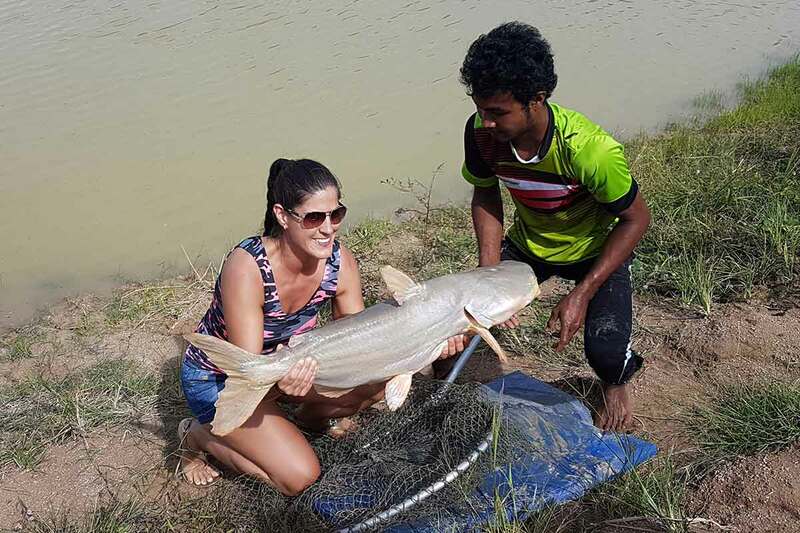 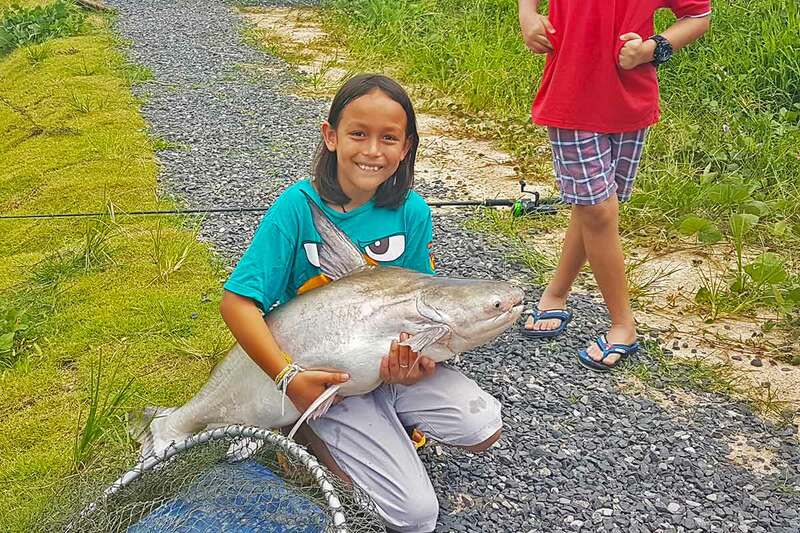 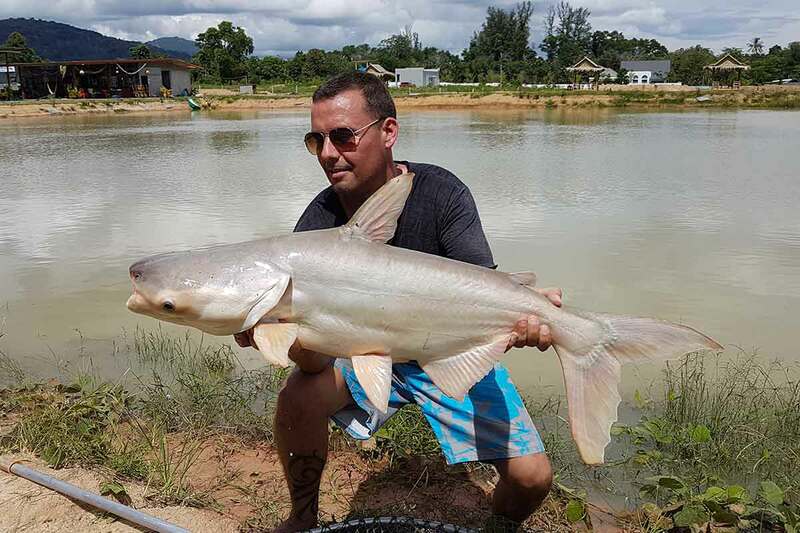 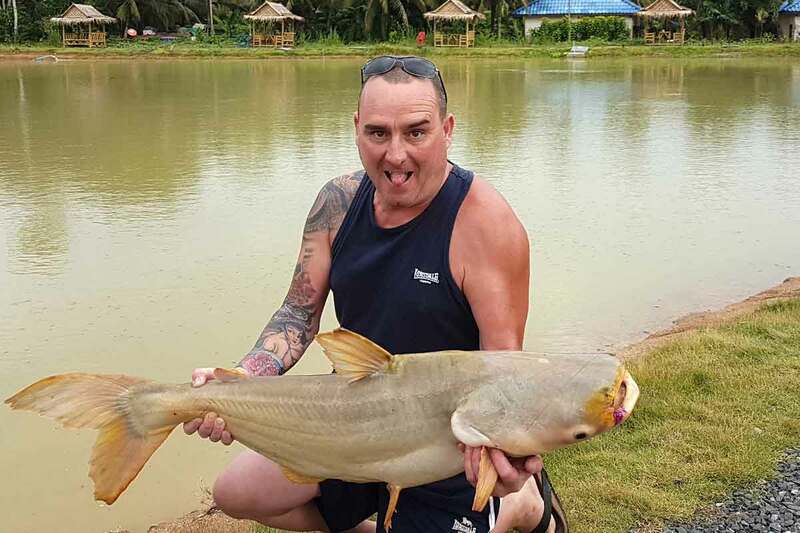 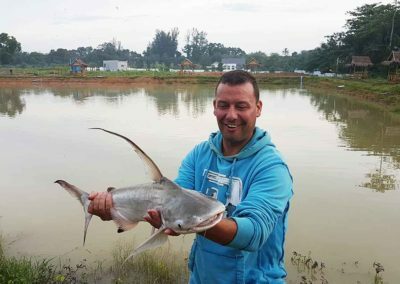 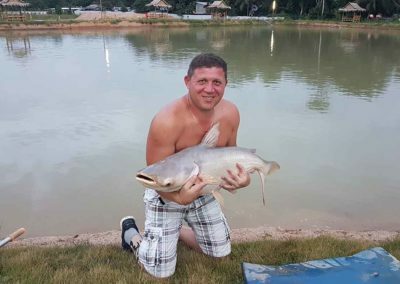 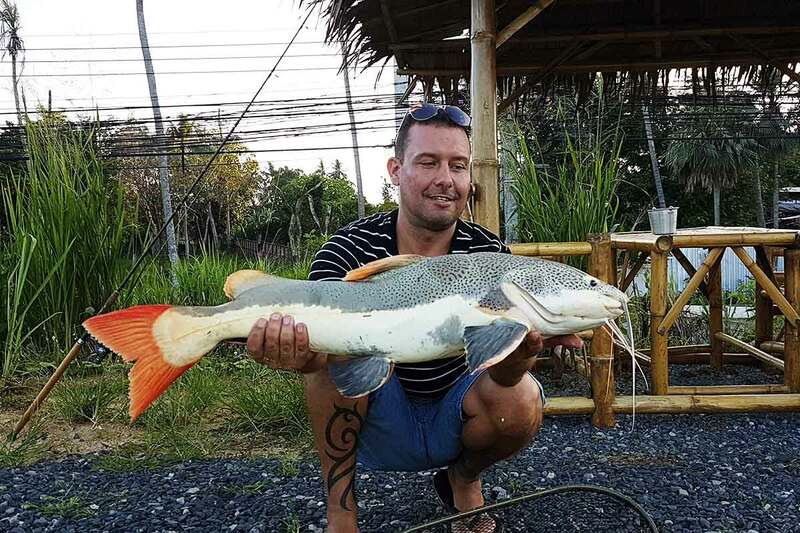 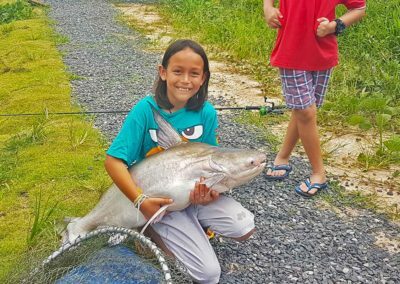 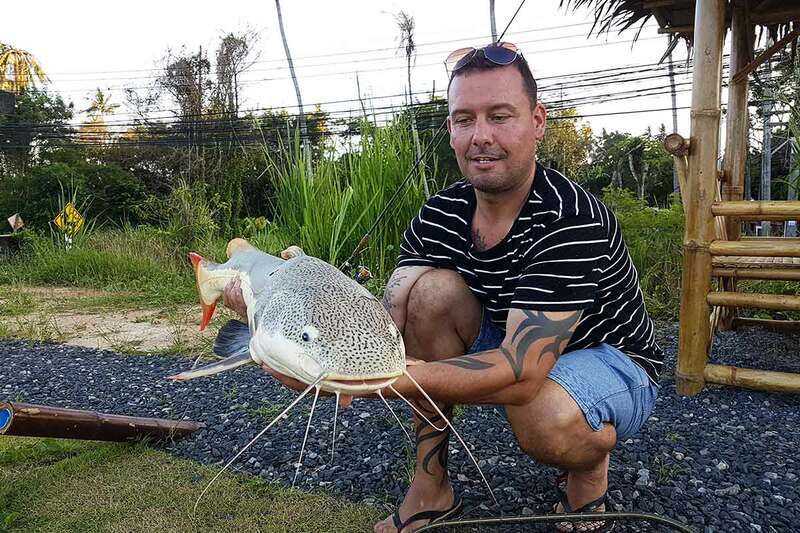 We don’t guarantee the fight will last half an hour but it won’t be easy, especially if it is one of our larger Mekong Catfish. 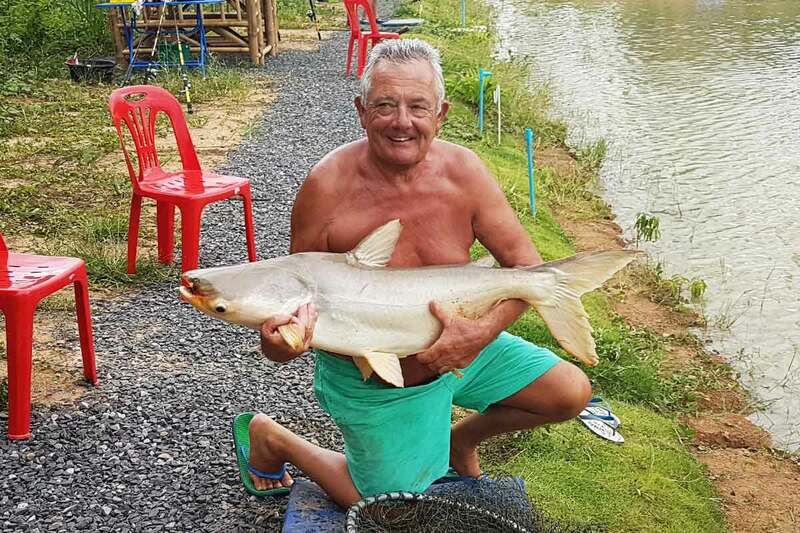 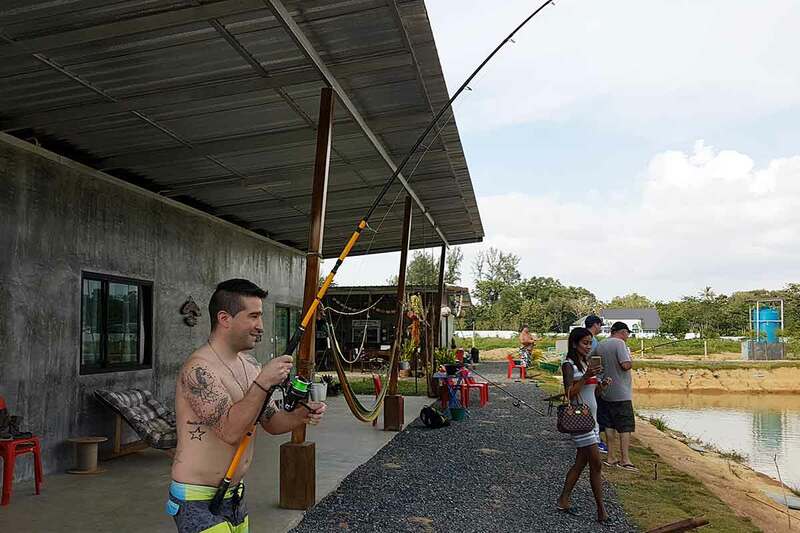 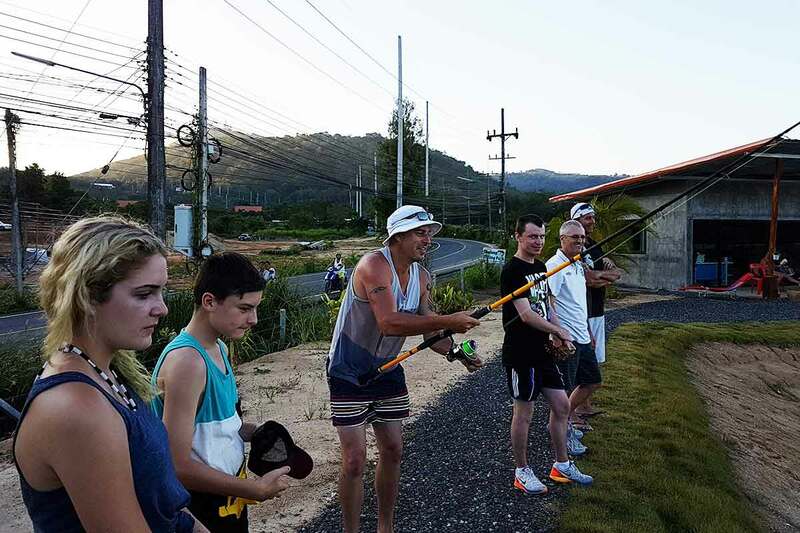 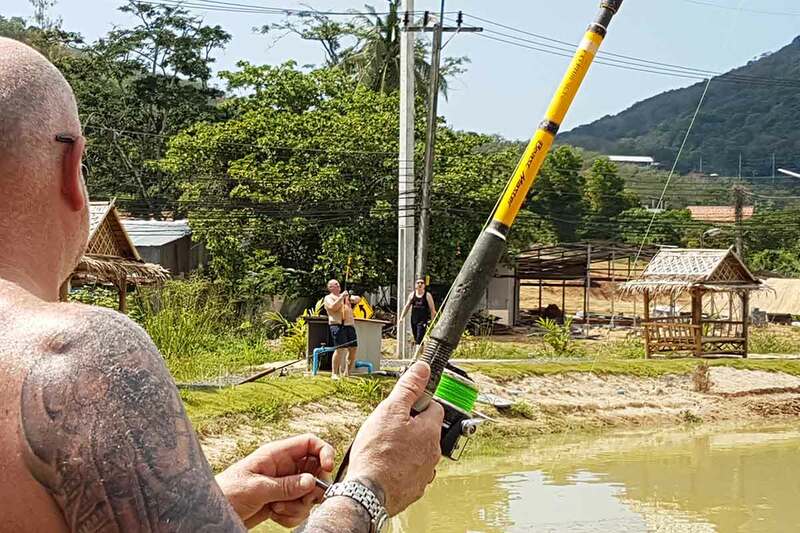 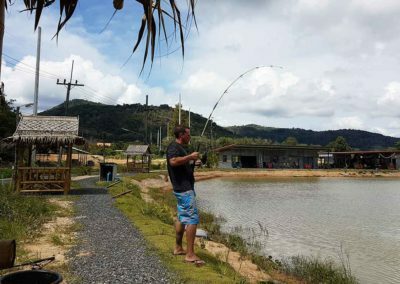 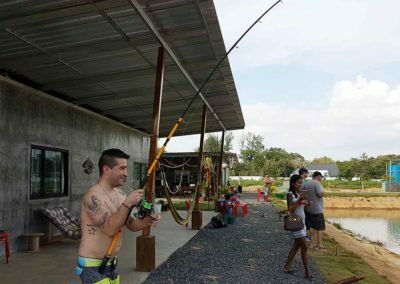 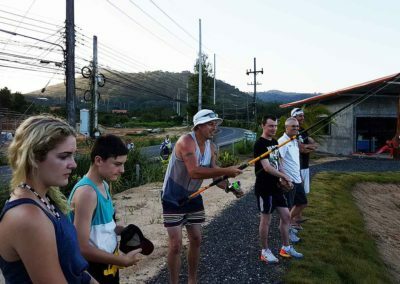 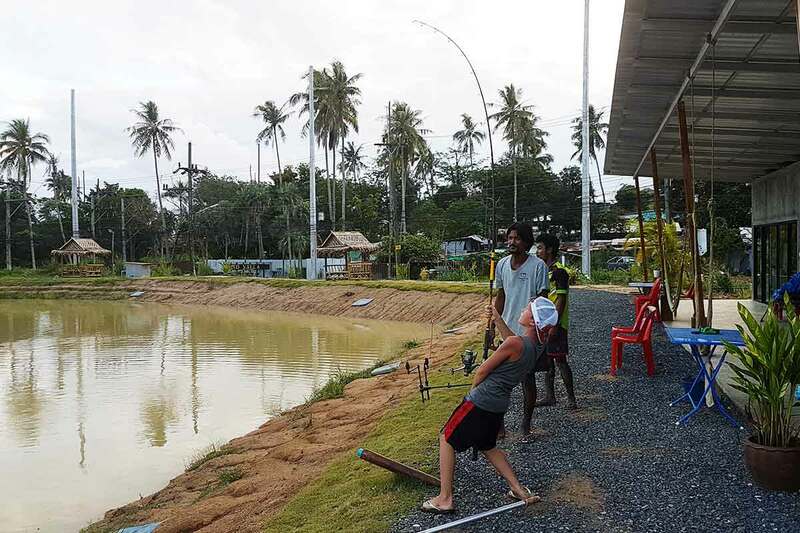 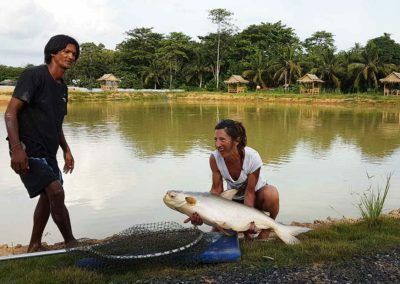 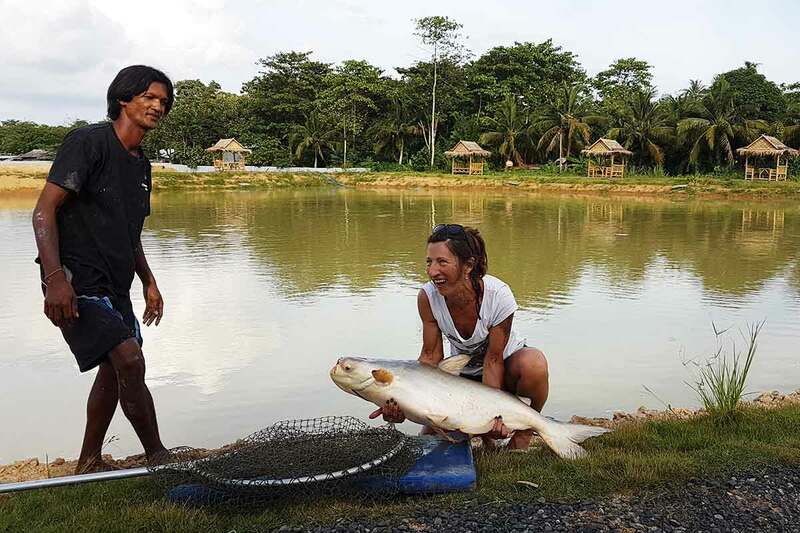 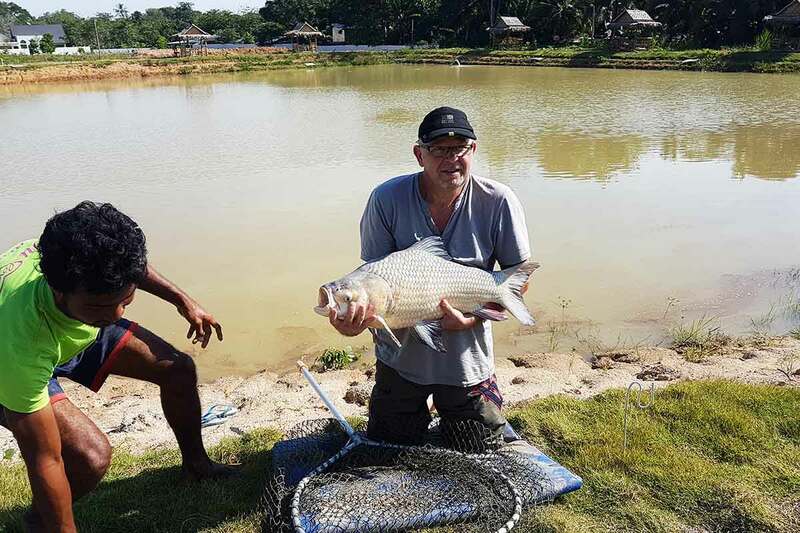 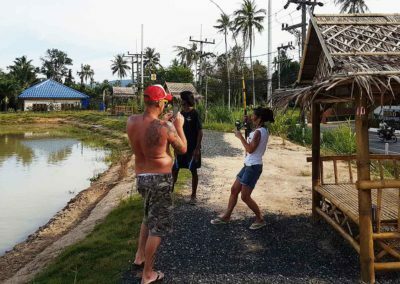 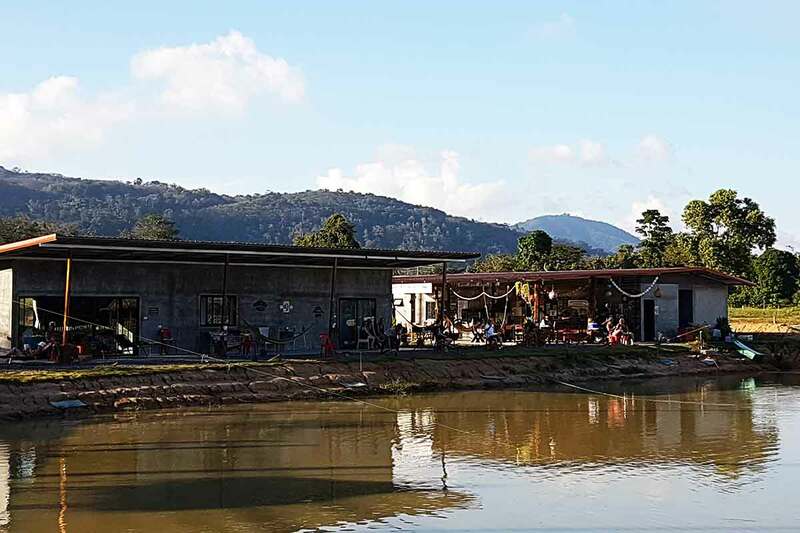 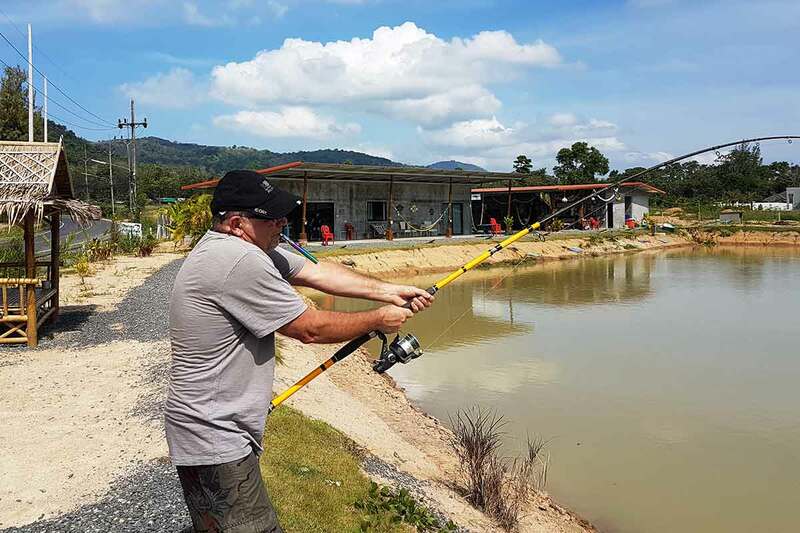 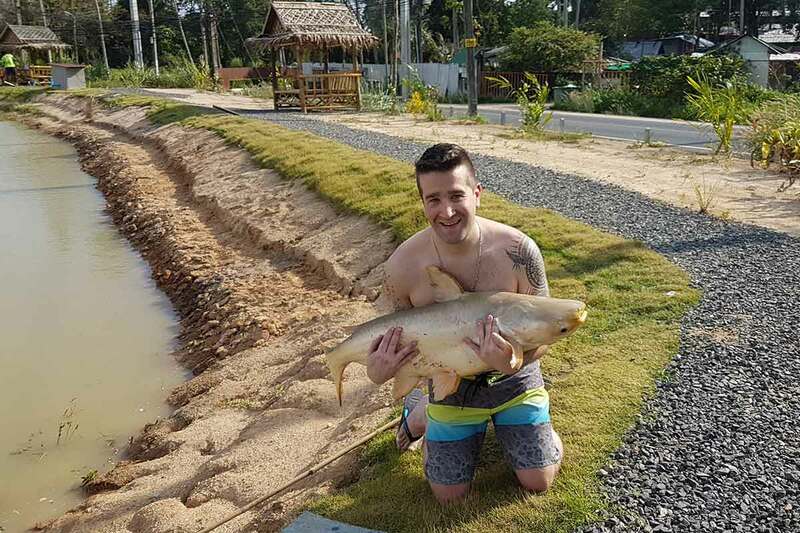 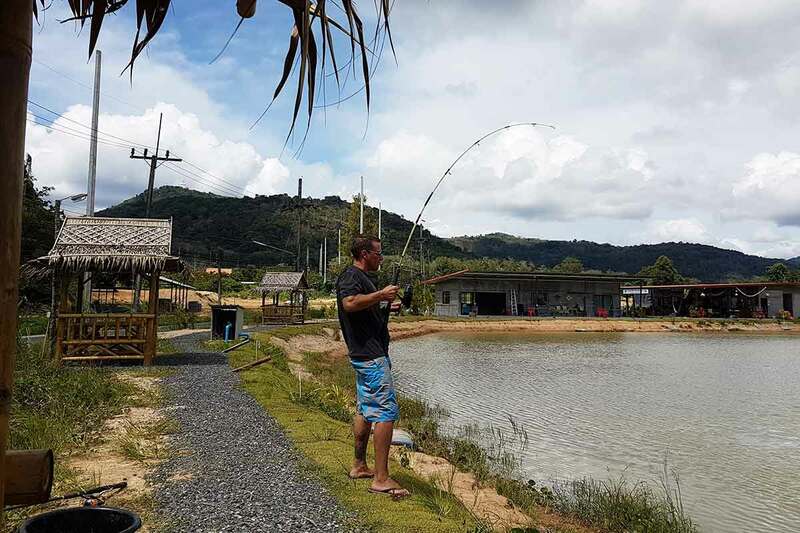 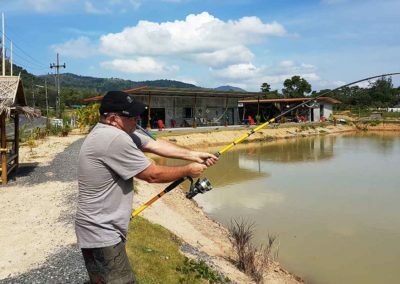 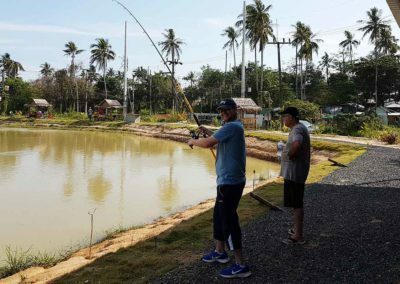 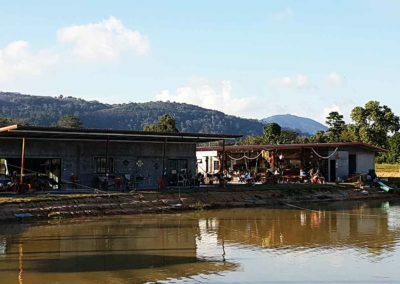 The beauty of joining us at Chalong Fishing Park is you will also have your very own fisherman’s tales to tell when you go home or down the local bar and many of those tales will be about fish that are larger than the fish in this featured “Fisherman’s Tale”. It was Mr Brigg, using rod and line who finally landed the monster in October 1907. 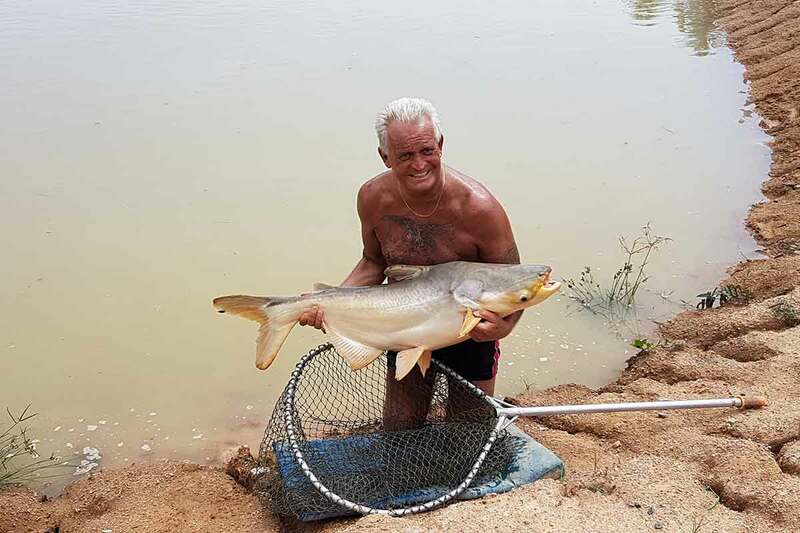 For two years it had been glimpsed in the waters of the New River between Wood Green and Harringay and had became the stuff of legend to local anglers. 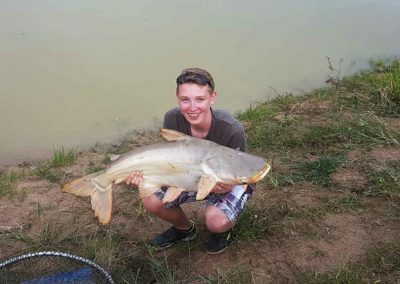 When finally Mr Brigg, after struggling for a full half hour, pulled it from the water, it was found to weigh 18lb and to be 2ft 6in long. 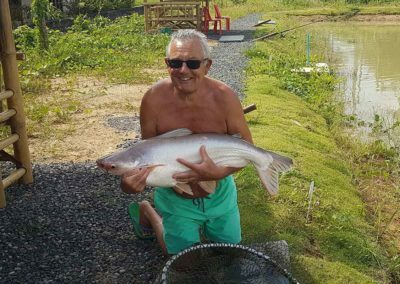 For Mr Brigg had succeeded where so many fisherman had failed and captured the New River’s prize, a giant grey or lake trout. 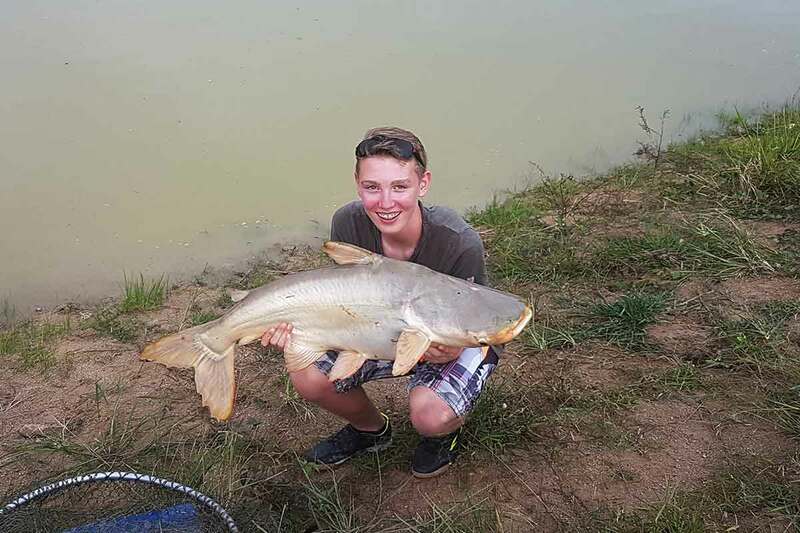 At the time, its weight was a record for a London water and amongst the biggest catches in England. 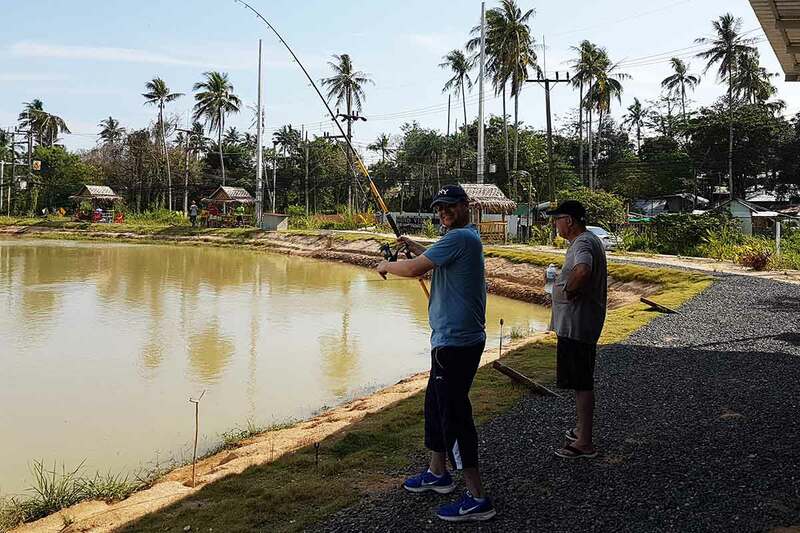 I was there 19/2-17 and i hade nice day and whery good fishing. 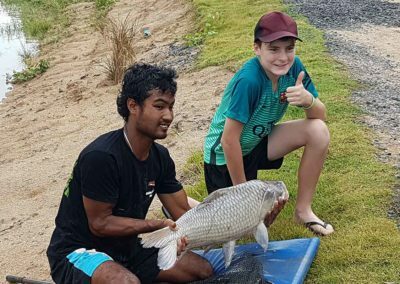 Thanks to My good Young guide onley 20 years old but whery good Fisherman. 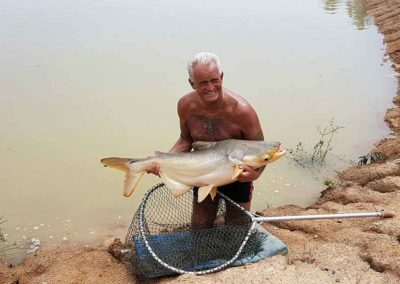 I come back next year.